The 1985 Espresso was blended and roasted for you by Panther Coffee. The 1985 Espresso is a classic, straightforward, and timeless blend. 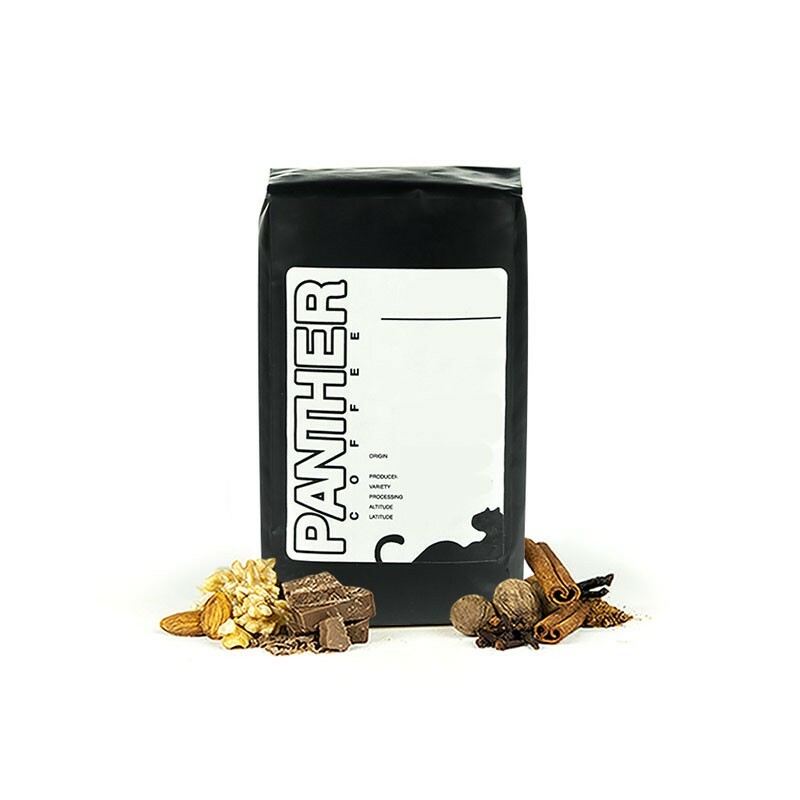 In the cup it reminds us of a decadent candy bar with notes of milk chocolate and toasted almond with a full body, great on it's own or with a bit of milk. Good, balanced flavor. Really enjoyed it. Flat flavor. Picking up the nuttiness but no chocolate. Tastes like generic coffee. This was by far the worst of the coffees so far. Definitely not a light roast, way too smoky. A good brew quality to this one, but a bit too nutty in the flavoring for my tastes. This one missed the mark, and was not like the tasting notes. Tasted very acidic and flat. Not chocolatey or nutty (I do prefer chocolatey and nutty). Perhaps an espresso blend that meets these criteria and stands up to milk is a good benchmark? Tastes not unlike peanut butter. OMG AMAZING. This is a good espresso blend, it has a smooth, mild flavor. I prefer bolder, strong flavors so this isn't a perfect blend for me as there are only hints of the flavors described. Bit of an uneven roast, smells like peanut butter. No matter what I did, I was pulling fruity shots. Even with a finer grind or a longer extraction, that just made the espresso bitter fruity. It's not a bad thing, just unexpected after reading the notes on the packaging. Got new milk which is a little more buttery in flavor compared to my previous milk, so if you try really hard, you might convince yourself that there's a hint of milk chocolate. This is as advertised, a milder coffee. Decent coffee, nothing I'd crave though.